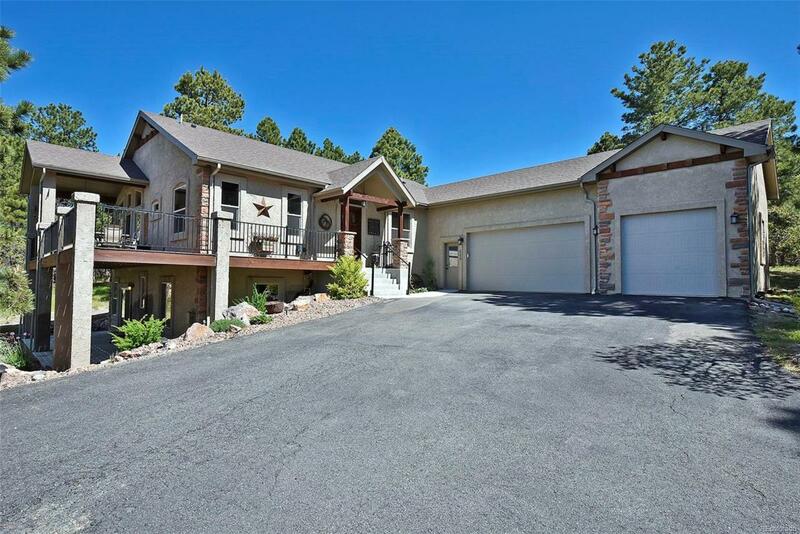 Come and see this custom and stunning Colorado mountain retreat with amazing views in a desirable Monument neighborhood. You will see the pride of ownership and custom touches from the minute you pull up. There is a huge wrap around composite deck great for entertaining or just relaxing enjoying Pikes Peak views. This home has main level living with additional bedroom besides the Master which can also be used as a office/study. The floor plan is a open concept offering a hardwood floors through out the living area and stunning views. The gourmet kitchen has beautiful granite counter tops, huge island ,gas cook top, double ovens, and is open to the living room that walks out to a 38 x 10 composite deck.It is a easy 20 minute ride to downtown Colorado Springs and approximately 45 minutes to Denver. There are several hiking tails just minutes away and is centered in school district 38! This is a must seemountain retreat is move in ready and boast pride of ownership from top to bottom ! !